Caustics with V-Ray light takes too much time to be calculated? Split light and caustics in 2 different sources: a V-Ray light for normal lighting a standard Spot Light just for caustics. Then get it in few seconds. How to simulate the pool effect using caustics? 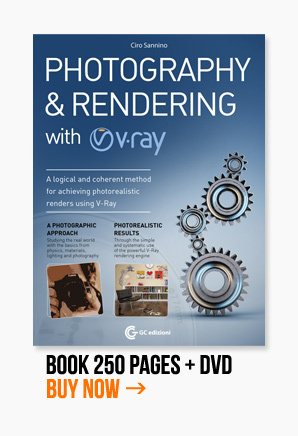 We need to setup caustics in V-Ray and it’s really easy. You just need to know a couple of things and a little secret. Watch the video and try downloading our files. A great light balance make the image “more” 3D! It creates volumes and depth in the image. A bad light balance make everything flat. In this post I show you how to manage lighting to model the scene with lights.